Our team is comprised of industry veterans with decades of combined experience serving both institutional and high net worth clients through various market cycles. With more than twenty investment professionals, our dynamic group of experts has demonstrated its investment management strength over the last three decades. We are proud of the lasting relationships we have built with our diverse client base and strive to continuously provide exceptional client service. Mr. Vogelzang is President and Chief Investment Officer of Boston Advisors. Mr. Vogelzang has managed Boston Advisors since 1997 and led the firm's management buyout in 2006. As President and CIO, he is responsible for overseeing the firm's equity, fixed-income and alternative investment activities, risk management strategy and general business practices. In his role as the firm's Managing Member, he also chairs the independent Board of Directors. Professionally, Mr. Vogelzang served as the President and Trustee of the multi-billion dollar Boston Advisors Trust, a family of money market mutual funds. He also held the role of President of the Lebenthal Funds, a taxable and tax-exempt family of long-term bond funds. He served as a board member for Advest, Inc., the one-time parent company of Boston Advisors. 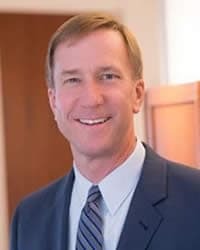 Prior to joining Boston Advisors, Mr. Vogelzang held senior positions with Freedom Capital Management and Shawmut Investment Management, and he began his investment career at The Boston Company. Mr. Vogelzang chairs the investment committee of the Barnabas Foundation, a large, Chicago-based, planned giving and estate planning charitable organization, investing on behalf of faith-based organizations. Mr. Vogelzang earned a B.A. degree in economics and political science from Calvin College in Grand Rapids, MI and attended Boston University's Graduate School of Management. He holds the Chartered Financial Analyst (CFA) designation and is a member of the CFA Society Boston. As an investment strategist, he is frequently invited to speak at industry conferences, interview in the financial media and contribute articles to portfolio management journals. Mr. Hanna is Senior Vice President and Director of Institutional Portfolio Management at Boston Advisors. In his role, Mr. Hanna oversees the firm's equity and alternative investment activities. He also serves as lead portfolio manager for the firm's small cap value strategy and is a member of the portfolio team managing the firm's global tactical asset allocation (GTAA) strategy, where he focuses on commodities and currencies. 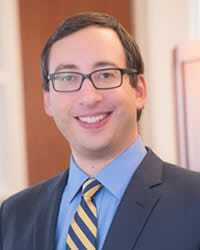 Mr. Hanna has specific expertise in the areas of quantitative research and alternative investments. He contributes to the development of the firm's proprietary quantitative models, specifically the stock selection, asset class selection, market profiling and risk assessment models. He also directs decisions around alternative investments, including alternative asset class allocations, hedging and derivatives. Mr. Hanna has more than 20 years of industry-related experience. Prior to joining the firm in 2007, he was a senior portfolio manager in the Global Hedge Fund Strategies Group at State Street Global Advisors (SSgA). He was with SSgA from 1997 to 2005, working in both the Boston and London offices. Prior to SSgA, he was Vice President, Quantitative Analysis, at Standish, Ayer & Wood from 1992-1997. Prior to that, he worked in proprietary trading, small cap portfolio management and portfolio insurance. Mr. Hanna earned a B.S. 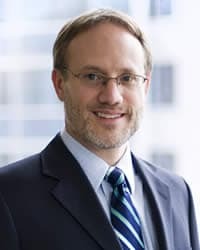 degree in finance from the Pennsylvania State University in 1987 and completed an honors degree with a thesis on derivatives hedging entitled, "Portfolio Insurance - A Simulation Using Binomial Option Pricing Theory." He also attended the Institut Universitaire de Technologie in Nice, France, focusing on European business. As an investment strategist, he is frequently invited to speak at industry conferences, interview in the financial media, and contribute articles to portfolio management journals. Mr. Riley is Senior Vice President and Director of Growth Equity Investing at Boston Advisors. Mr. Riley brings more than twenty-five years of industry-related experience to Boston Advisors. As a member of the Institutional Equity Team, Mr. Riley has primary responsibility for the firm's growth equity strategies. Prior to joining Boston Advisors in 2002, Mr. Riley was a Vice President and Portfolio Manager at Babson-United Investment Advisors. In addition to serving as Vice Chairman of the Investment Committee, Mr. Riley managed private accounts for high net worth clients and institutional portfolios, and was instrumental in the development and implementation of a quantitatively-based stock selection process. Mr. Riley earned a B.S. degree in business administration and finance from Emory University and a M.B.A. degree from Northeastern University. He holds the Chartered Financial Analyst (CFA) designation, and is a member of the CFA Institute and of the CFA Society Boston. 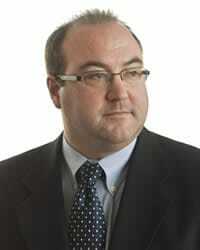 Mr. Gaul is a Senior Vice President and Portfolio Manager at Boston Advisors. As a member of the Institutional Equity Team, he is lead portfolio manager on the firm's Small Cap Growth and Large Cap Core strategies. Mr. Gaul has more than fifteen years of industry-related experience, including investment banking, sales and trading, and investment management. Prior to joining Boston Advisors in 2005, Mr. Gaul was an institutional fixed income sales professional with Commerce Capital Markets, Inc. and Advest, Inc. Previously, he worked closely with non-profit and municipal borrowers structuring tax-exempt bond issues for Advest, Inc.'s Public Finance Investment Banking department. Mr. Gaul earned a B.S. degree in investments from Babson College, an M.S. degree in investment management with High Honors at the Boston University Graduate School of Management and is a member of Beta Gamma Sigma International Honor Society. He is an active supporter of Babson's academic community, including guest lecturing for graduate-level courses. Mr. Gaul holds the Chartered Financial Analyst (CFA) designation and is a member of the CFA Institute and the CFA Society Boston. As a Vice President and Director of Quantitative Research, Ted manages the group responsible for proprietary model research and development at Boston Advisors. The group focuses on stock, asset class, market and risk modeling for traditional and alternative investment management efforts. Ted is a member of the portfolio management team for Boston Advisors' suite of global tactical asset allocation products and serves as lead portfolio manager for the Dynamic Risk Parity strategy. He also contributes to the development of investment technology and processes for the firm. Prior to joining Boston Advisors, Ted spent over six years in the semiconductor and technology industries as a Senior Design Engineer with Advanced Micro Devices and a R&D Engineer with Hewlett-Packard. Ted earned a Master of Business Administration with High Honors and a Master of Science in Mathematical Finance, both from Boston University. He also holds a Master and Bachelor of Science in Computer Engineering from Rochester Institute of Technology. Ted holds the Chartered Financial Analyst (CFA) designation and is a member of the Boston Security Analysts Society and the CFA Institute. As Quantitative Research Analyst, Ms. Hochstatter manages and enhances Boston Advisors' portfolio construction and risk modeling processes. 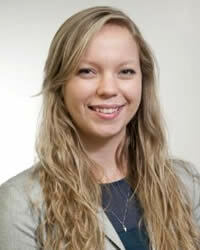 She also contributes to model research and the development of investment technology and processes for the firm. In this role, she is accountable to the Institutional Portfolio Management Team. Prior to joining Boston Advisors, Ms. Hochstatter worked at Ag World Support Systems as a Data Analyst within the agricultural industry. She also has experience as a Research Assistant, creating mathematical models in the field of mathematical biology. Ms. Hochstatter earned a Master of Science in Mathematical Finance with honors at Boston University Graduate School of Management. In addition, she holds a Master of Business Administration and a Bachelor of Science in Mathematics from Whitworth University. As Head Equity Trader, Robyn works with the investment portfolio management teams within the firm to ensure trades are executed in a market-sensitive, cost efficient, timely and compliance manner. 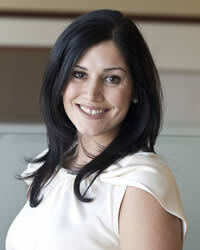 Prior to joining Boston Advisors in 2008, Robyn worked at Winslow Management Company as a Portfolio Trader. At Winslow she was responsible for trading and monitoring two mutual funds, a hedge fund and approximately 30 separately managed accounts. Prior to working at Winslow, Robyn worked at Canaccord Adams for over 5 years in various roles including Operations Specialist, Trading Assistant and Sales Trader. Robyn has a B.A. in Finance with a minor in Spanish from Stonehill College. 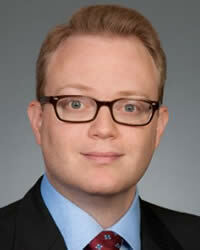 Mr. Eaton is a Portfolio Manager and Equity Analyst at Boston Advisors. In his role as a Portfolio Manager, Mr. Eaton is the lead manager on the firm's Private Advisory Equity Income strategy and collaborates with the large cap team as a contributing member to the Institutional Large Cap Value strategy. In addition to his portfolio management responsibilities, Mr. Eaton also contributes to the firm's fundamental research efforts. As an Equity Analyst, Mr. Eaton is a member of the institutional equity investment team, conducting fundamental research with primary coverage of the financials, industrials and energy sectors, identifying industry-level trends that generate actionable investment ideas. 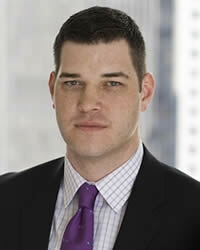 Mr. Eaton joined Boston Advisors in 2011 as an analyst for the Institutional Team. In this role, he was responsible for in-depth equity research, attribution analysis for institutional products and ad hoc research projects. In 2014, Mr. Eaton managed the Small Cap Growth strategy. After taking a brief hiatus for business school, Mr. Eaton rejoined the firm in 2016, leading the integration efforts for the acquisition of Weyland Capital Management. Most recently, Mr. Eaton was the lead portfolio manager for the Global Tactical Asset Allocation (GTAA) strategy; his role included research in macroeconomic and market trends and assisting in the asset allocation strategy for the firm. Mr. Eaton earned a Master of Business Administration from Harvard Business School. He also holds an MS in Finance from Bentley University and a BA in Economics and Accounting from Gordon College. Mr. Eaton holds the Chartered Financial Analyst (CFA) designation and is a member of the CFA Society Boston and the CFA Institute. He also holds a CPA license in the state of Massachusetts. 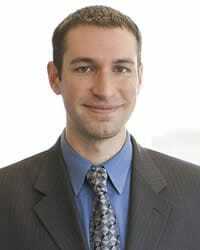 Mr. Litvak is an Asset Allocation Analyst at Boston Advisors. In this role, he does in depth research into macroeconomic and market trends and helps to set an asset allocation strategy for the firm. Mr. Litvak has more than ten years of industry-related experience. Prior to joining Boston Advisors in 2017, Mr. Litvak was a senior analyst at Fidelity Investments where he conducted economic, fundamental and quantitative analysis to develop dynamic asset allocation recommendations. In this role, he was a frequent author and presenter of commentary to retail, institutional and intermediary clients around the country. Previously, Mr. Litvak held roles in research and economics at IHS Cambridge Energy Research Associates (CERA), International Strategy and Investment (ISI) Group, and Moody's Economy.com. Mr. Litvak earned an MS in investment management from Boston University. He also received a BA in economics and business from Kalamazoo College. Mr. Litvak holds the Certified Financial Planner (CFP®) and Certified Business Economist (CBE®) designations, and is a CFA Level III Candidate. He is a member of the National Association for Business Economics, the CFA Institute and the CFA Society Boston. 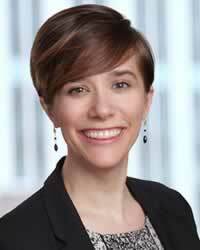 Ms. Burlock is an International Equity Analyst and Lead ESG Strategist at Boston Advisors. In her role as equity analyst, she performs fundamental research and assists with portfolio construction for the firm’s international equity strategies. As the firm’s resident specialist on Environmental, Social & Governance (ESG) issues, she keeps the investment team up-to-date on industry trends and leads the development of Boston Advisors’ approach to sustainable investing. Ms. Burlock joined the firm in 2014, and worked closely with Operations, Marketing and Compliance teams before joining the investment team. Prior to working in the finance industry, she worked as a medical interpreter, professional musician and United Methodist pastor. This diversity of experience gives her unique insight into the sustainable investing space, complementing her investment experience and education. She earned a B.A. in Portuguese & Brazilian Studies and English Language & Literature from Smith College and a Masters of Divinity from Boston University School of Theology. She holds her Series 65 FINRA license and is a Level II CFA Candidate. Ms. Mackey is the Institutional Client Service Manager at Boston Advisors. In this role, Ms. Mackey is the primary liaison for the firm's institutional relationships, including institutional investors, investment consultants and sub-advisory clients. She works closely with the institutional team to ensure all client communications are timely and accurate and service needs are met. Her strong operations background is particularly helpful in troubleshooting and resolving issues, as well as facilitating the onboarding process of large, institutional investors. 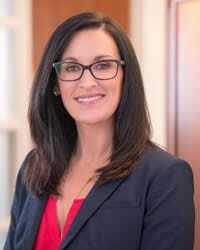 Ms. Mackey joined Boston Advisors in 2003 as an Institutional Portfolio Administrator and continued on to Equity Trader and then Assistant Operations Manager within the firm. Prior to joining Boston Advisors, Ms. Mackey worked as a Compliance Specialist for Investors Bank & Trust. Previously, she worked in public accounting as an auditor for Deloitte & Touche, LLP and Arthur Andersen, LLP. Ms. Mackey earned a B.S. degree in business administration from Suffolk University.